So the first thing you need to know about is yourself. This may sound strange but believe me, the better you know yourself the better you can showcase yourself. Go through your resume thoroughly and predict the possible questions interviewer can ask and start preparing best answers for them. You are expected have good knowledge about your strengths and weak ends. Never ever mention those weak points which are against prime qualities they are looking for. Now start making some good and valid cover for your weak points. Suppose your handwriting speed is slow so you can say it as “Sir I love to talk and I’m really good that so while writing my major focus is on talking, that’s why I’m bit slower at writing”. So if there are looking for a customer representative they won’t take it as threat to their company and will be happier to know that you never get bored of talking as customer services is all about having good conversational skills. So that’s how you nicely answer a question asked about your weakness. Why I should hire you? This is the question for what whole interview is conducted. I can be asked in many ways but the actual question remains the same. Here you need to be very careful. You shouldn’t be too short that they feel you incompatible or you shouldn’t be that much lengthy that they feel like you are exaggerating. So you need to put certain limits. You should speak what they are expecting to listen. Combine all those prime qualities they are looking in 3-5 sentences, fix them with you and make final output. Prove your worth with some valid evidences like your rich experiences, top qualifications, good certifications, extraordinary portfolio etc. You where then 10 men there are 10 different stories. You if you dare to copy or try to be artificial you will be ultimately spotted. 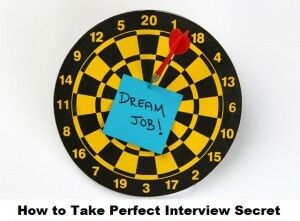 As interview holds stressed environment so it’s very unlikely that you can fake them. If you lose your tempo then it’s almost out of question to regain it. There is no doubt in that First impression is last impression. Very first look falls at you and the dress you are wearing and they make a rough idea of your personality. Now that rough idea can really work well if your abilities match your looks. Use some nice deodorant and be in a presentable position. Most of the people recommend wearing blue while going for an interview so if you have got one blue dress then wear it, it will make a difference. But I would again say it should be a decent blue one. Questions questioning your qualification and knowledge need to be answered perfectly, you can’t afford any risk at this point because this will determine how serious and willing you are for the job. This will impose an excellent impression over them and you will be taken as strong choice considering your abilities. When there is a chance to ask do ask questions as it will show that how much curious and willing you are for the job. But remember if no such space is there don’t try to be the odd one as it may not happen in every interview. Questions should be valid ones related to the job and company. These were some basic tips I hope they will surely help you and I’m successful in conveying what I wanted to. What employers want? Tips for great Job. | 5 tips for success in an online course.